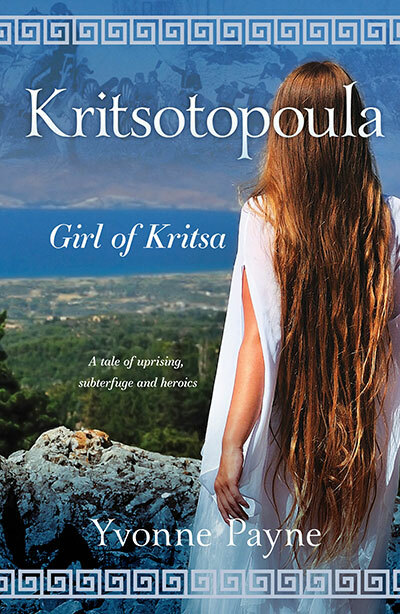 I always thought Kritsotopoula, Girl of Kritsa was a one-off book, but it seems I have the bug!! I’m delighted to announce Rodanthe’s Gift is now available via Amazon in paperback and ebook. During the research for Kritsotopoula, Girl of Kritsa I ended up with far more ‘stuff’ than could squeeze into one book. When I discovered that Captain Kazanis, a real life hero from the first novel, fought in the dreadful siege of Missolonghi on mainland Greece it set my brain racing. How did he get there? What was his role? Did he meet Lord Byron? I knew he died on the island of Naxos in 1846, so how did he manage to be one of the very few survivors of the siege? One of my favourite ways to generate ideas is to find the gaps in facts, ask questions and then, if I can’t find the answer, my imagination takes over. The result of all these questions and answers is Rodanthe’s Gift. NOVEMBER 15, 2018 I have just finished reading ‘Rodanthe’s Gift’ and thoroughly enjoyed it. Yvonne’s meticulous attention to historical detail and authenticity makes her book compelling reading. War scenes are described in all their horror, but between the citizens you can feel the loyalty and concern the Greek people have for each other.